Think about the last time you purchased something that you don’t buy often, like a washing machine, a cell phone, or even a sheet set. What was it that assisted your decision-making? Did you choose based on price, color, label, aesthetics, availability? Was your decision economically rational? Meaning, you weighed up the pros and cons, and then decided based on a cost benefit of what was best suited for you? Economists love to assume that humans are logical when spending their money, but don’t worry if you’re not. Turns out people buy stuff based on many influencing factors that they have no idea are there. Our entire economic system is based on a pretence that free agents will use rational choices when consuming, and that producers will seek to be effective providers of products that meet their needs based on expressed preferences. Rational economics sees the human as being a conscious conservative agent, operating on a rigid set of self-interests and cost-benefit analysis. That, however, is completely opposite of what humans are actually like. In this series of essays, I am exploring some of the ‘system failures’ at play in the beautifully complex world around us. In the first essay I looked at systems of enforced disposability and how they feed into the global waste crises we have designed for ourselves. In this second one, I am diving into the power of incentives in regard to how our economic system is driving significant change to the planet based on invisible forces influencing our unsuspecting brains. Generally speaking, people don’t participate in the economy based on logic and rational decision making so much as they do based on a concoction of emotion and cognitive biases. What actually supports our decision making is often at a loss for us even to describe. The proposition of a homo economicus assumes that the modern human acts rationally, weighs up the cost benefit to them based on a matrix of economically rational decisions, but this does not exist. 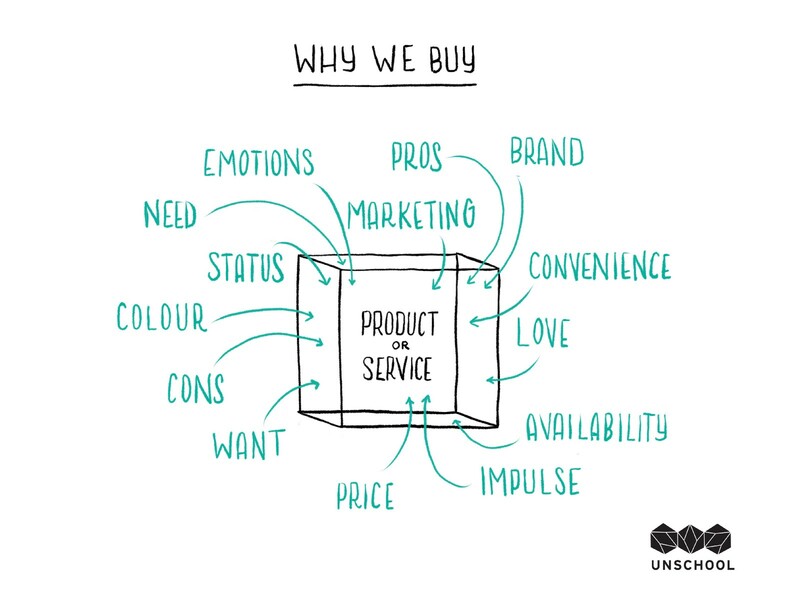 What often happens is that humans, being complex social beings, respond to all sorts of stimuli and inputs which result in overwhelmed, love-stricken, or apathetic consumers of goods thrust upon them. People end up participating in the economy based on invisible influencing forces. Behavioral economist Dan Ariely has contributed a wealth of studies and propositions that demonstrate the predictably irrational behaviors of humans when it comes to economic decision making. The explosion of research into cognitive experiences, biases, and motivators has helped us sociologists gain a much deeper understanding of the complexity in decision making that goes on behind the scenes when people participate in the economy (and marketing agents know this, too). 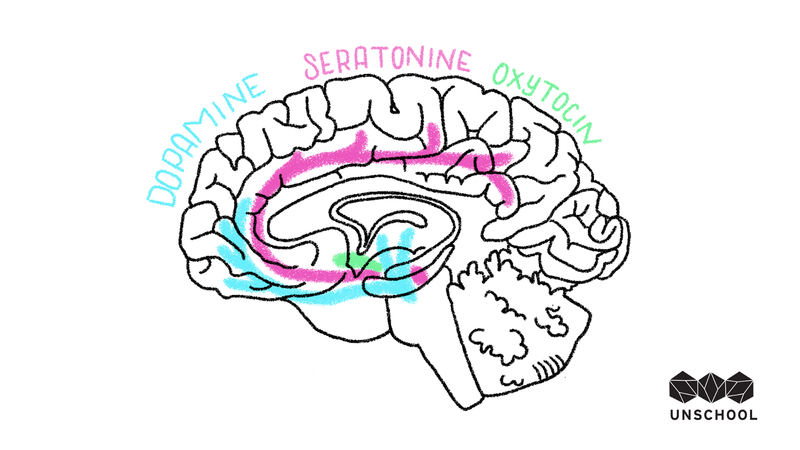 Scientists have discovered that much of our decision making happens deep within the emotional center, the limbic system of our brain. This subconscious part is fundamentally ruled by memories, emotions, and neurochemicals, and triggered by external stimuli. Some researchers claim that up to 90% of our daily decisions are made at this subconscious level, meaning that only a small percentage of the decisions we make in our daily lives are decided upon by the cerebral cortex — which is the part you and I have conscious control over (interested in this? Here and here and here and here are some more articles on conscious decisions making). The rest is completely unbeknownst to you or anyone else. This would explain why we all do very odd things, end up in weird life choices, or own things we never imagined we would. Added on top of all of this are the shared cognitive biases that we have; from choice paralysis to confirmation bias, humans are essentially winging it through the world, responding to all sorts of external inputs, often specifically designed to manipulate these human brain quirks and to evoke many of our latent human desires. So, the ‘Economy’, as proposed in a purely economically rational way, is fundamentally flawed when you bring the chaotic and emotionally-driven human being into the equation. Sigmund Freud’s nephew, Edward Bernays, was one of the first people to work on evoking and manipulating latent human desires in the marketing process. A United States propagandist during World War One, he turned his skills into commercial gain by starting the profession of Public Relations (PR) after the war. His incredible list of clients ranged from Alcoa to Lucky Strike Cigarettes. Learning all the discoveries of his famous uncle, he experimented with the mass manipulation of the consumer base. He proudly shares how he got women to smoke by calling cigarettes “freedom torches,” changed the American diet from a light one of toast to the heavy fat-filled eggs and bacon for the pork industry, and influenced people to approve of fluoride in water for his aluminum smelting client (fluoride is a byproduct of this process and thus, a waste product that needed a new market). If you take away the human and environmental costs of what he managed to get the population to do, and just focus on his tactics, it’s easy to see a pure genius in his approaches. He was an advocate for a fully controlled social system; in 1955 he wrote a paper called the “Engineering of Consent”, in which he outlines his opinion on the need for governments to control the masses for their own safely and benefit. Fast forward to the present day, and it’s easy to see many of Bernays’ tactics openly employed by marketing agencies and PR firms around the world. The collateral impact of these manipulative and controlling approaches is less obvious, but significantly problematic. For starters, it really throws into question the locus of agency that everyday citizens have. If we are seen as robotic decision makers by the economy, and emotionally manipulatable money bags by the marketers, then what choice do we actually have between these two? We live in a complex interconnected world, and humans, like many other primates, operate as a social herd, following subtle cues of those around us and mimicking the status quo of the day. This means that many of our actions in the economy are directed by invisible but very meticulously designed forces — sounds like a conspiracy theory, but it’s not. This is the way the economy works and why it was invented in the first place. Yes, the economy as a concept and as a system was entirely made up. Prior to the late 1930’s, there was no mention at all of the “economy”. The term first emerged in 1937 when President Roosevelt started to talk about this invisible thing called The Economy as a way of explaining the bigger picture of commerce and trade in the USA. At this point in time, individual industries would measure their own activities, but no one had added all of these up to get an idea as to what type of economic activity was happening in the country as a whole. Thus, an increasing need to understand the cumulative state of affairs for a nation resulted in the first national assessment of industrial activity in the US, and a published report called “National Income 1929–1932” became a bestseller. Shortly thereafter came the need for a country to assess its ability to fight a war or feed its people. The economy could now be measured, and the need to mechanically assess the inventory of the nation was tasked by a very dry and pragmatic man, Simon Kuznet, who came up with the measurement of Gross Domestic Product (GDP). Although he started to perform this complex accounting for the US’s war effort during WW2, what is fascinating about the story of Kuznick and GDP is that he himself was opposed to the idea of using GDP as a broad measurement tool, because it was so one-dimensional, only accounting for the goods and services produced and consumed in an economy. This became part of a new type of ordered intellectual revolution where the famed economist John Maynard Keynes started to talk about the economy being something governments could control — because after all, if you can measure it, you can control it. So it came to be that the health and wealth of nations would be measured by a very limited accounting system that’s akin to only measuring the ability of students to identify letters in an alphabet but not on whether they can string them together to make words and sentences. This really fit within the worldview of the day; the mechanical, reductionist perspective was well-established, and the measurable, controlled economy was ordered and dictated actions that could influence society, increase prosperity, and change the world. And that it did. The rapid changes to industries like agriculture and manufacturing ensured that globally, GDP would become the gold standard of economic measurement. Supported by international bodies set up after WW2 such as the International Monetary Fund (IMF) and the World Bank, GDP supported the decisions on who received funds, in addition to ranking and rating countries’ economic health. 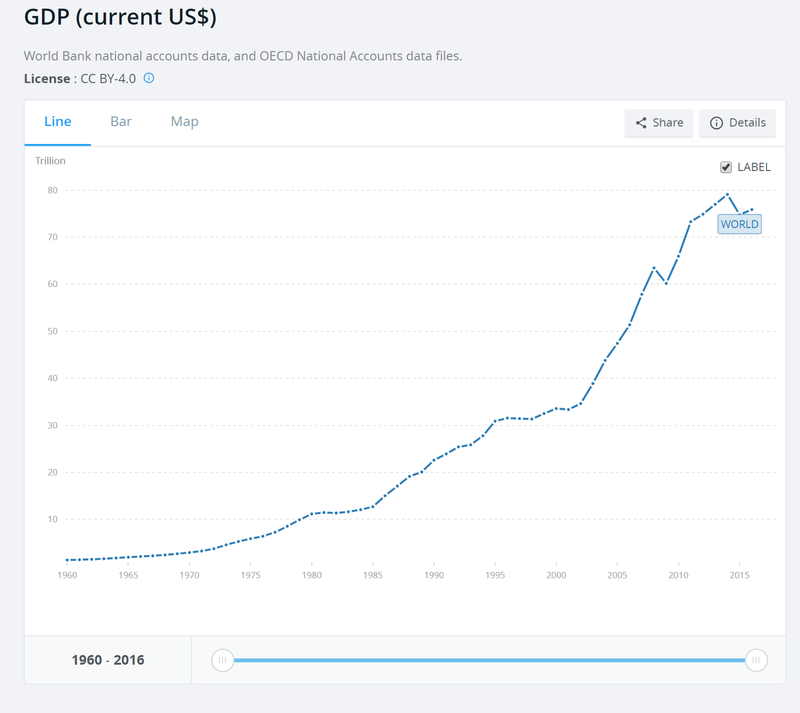 Now, the measuring of an entire country’s economic position is standardized with GDP (except in Bhutan, who has bucked the trend and measures Gross Domestic Happiness). The issue is that GDP is a reductive assessment of what stuff gets produced and then what gets consumed within a nation. Weirdly though, stuff sold in a store in France to a French consumer but produced by an American company with HQ in the US will contribute to the GDP of the US, not France. And, a disease outbreak that kills thousands of people and requires them to be buried will show a positive spike in GDP for the sale of coffins and funeral services, despite the tragic social toll that this would have. In fact, GDP is so rigid as an assessment of a nation’s wealth that when Italy recently decided to start including the economic activity of the Mafia and other black market activities, it jumped up 18% overnight! Traditional economic theory might argue that the illegal activities of a community known to trade in weapons, drugs, and desperation is a socially undesirable element, not really rationally economical, and not something that should be seen as positive for a country. But it’s actually now part of the European Accounting Standard to include illegal activity in GDP measurements. This points to one of the major issues with GDP — as a fundamentally flawed system, it places emphasis on incentives that encourage socially undesirable acts and does not account, in any way, shape, or form, for things that offer collective benefit and contribute to the social and environmental health of our nations. GDP lacks empathy, conscious, and accountability. For example the recent hurricanes that decimated parts of the US increased GDP. No environmental services, nor negative impacts caused by pollution, for example, are accounted for. GDP basically assumes that everything before extraction and processing doesn’t exist! There is no accounting for the changing of natural systems or waste production, despite the fact that every single metal that is mined or tools that are made have to come from nature, and will eventually have to be returned to the planet and all of this will have impacts on our collective ability to continue to produce goods and thus, the ability for nations to have continual economic growth. Another fundamental flaw to GDP is the zero accounting of social labor — services provided for free by care givers and family members, like raising a child. One could argue that an economy is healthy based on its ability to produce good contributors to economic activity, but instead of accounting for such services, again GDP assumes that consumers are invisible until they start earning and spending money. There are many limitations to GDP, but the fundamental issue here is that all of these things, environmental services and human contributions, under the GDP-based model of measurement, are externalities, things that are not accounted for in the system. But they are all fundamental to the system. Without these elements, there would be no economic activity, no goods or services, no gross domestic production. Many people blame environmental and social issues on capitalism, on the governing structures of society, or on consumerism, but if you look at the entire system and drill down, you will always find motivators and incentives and the way they are manipulated as being a significant force in what is reinforcing unsustainability. Incentives are central to economics. we all respond to rewards and punishments, are motivated by extrinsic and intrinsic mechanisms. In fact, it’s odd that anyone does anything without some sort of incentive to take action. We get an education because it’s good for our job prospects, just as we get up and go to work to earn money to trade for stuff that we value as a reward for hard work. Humans design incentive structures that increase activities in the economy based on activating self-interest through different mechanisms, like money and status. Edward Bernays knew this and used it, and now we live in a global economic system that is set up to incentivize consumption over all else. Perverse incentives often lead to unintended consequences, as was the case with the European Union’s introduction of a 10% mandate on biofuels in petrol, which incentivized farmers to change the use of their land from food agriculture to biofuel crops, which contributed to a world food crises in 2006. Paying people to donate blood backfired and reduced the amount of donations; reintroducing the altruistic element of blood donations made the reward system changes, increasing people’s willingness to contribute. Combine all of these elements, a consumption-fueled accounting system, deep-seeded emotional desires manipulated by marketers, and the incentive system of rewards and punishments, and we have a reinforcing feedback loop of exponential externalities. GDP is designed to incentivize unscrupulous consumption, as it does not account for any impacts outside of goods produced and sold, which in turn, motivates all agents in the system to enforce a hyper-consumption loop. To decouple consumption with the wealth and success of nations, and move to a more true-cost accounting method, we must also account for the social and environmental aspects of our global and national economies, not just the purely physical benefits. My proposition is for global economic measurements to be redesigned to include social and environmental services, along with the assessment of unintended consequences and negative externalities. This GDP plus Sustainable Development (SD) approach would incentivize agents within the economy to rapidly transition to a more sustainable and circular economy, as everyone would have to take a more realistic assessment of the externalities that occur as a result of the current economic activity. SD is about the integration and equitable understanding of the social, economic, and environmental considerations of what we do as individuals, industries, and countries. Until we marry it to our economic measurement tools, we will be plagued by negative externalities and obscure consequences. Internalizing negative externalities into the economic measurement tools we use to assess the health and wealth of our nations is critical if we are to achieve a future that works better than today. As this will shift the incentives of group and individual behaviors, it will also change the goal posts for economic successes through accounting for the losses associated with the true cost of production, like the future loss in productivity as a result of losses in ecosystem services, or the social health of a nation being reduced by a war or increases in mental health issues. All of these things must be accounted for as they affect every citizen and ultimately impact the ability for any economy to function. To not include the social and environmental costs in how we measure success is akin to ignoring the entire body when a doctor is diagnosing a disease. Our reductionist approaches have shown us that reinforcing a hyper consumption-loop over all else leads to losses greater than we can account for. 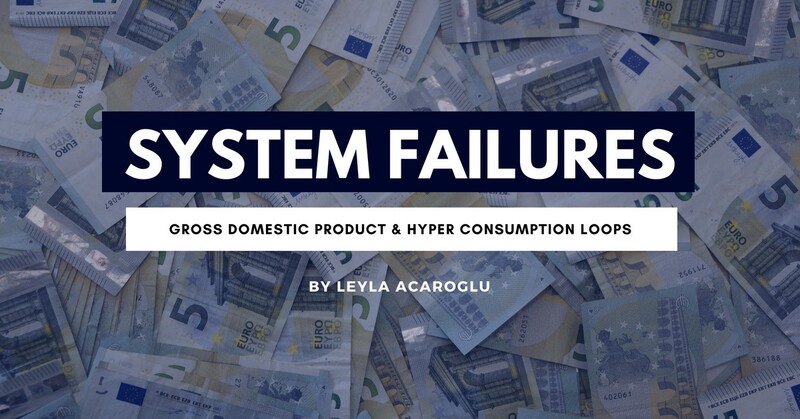 In this series I am exploring the system failures that account for significant externalities and propose some provocations for shifting the status quo of these.